weird enough, always when it is the month end closing time (1-5th work day of the month) - I suddenly have an urge to bloghop....hahahah probably because of the deadline stress; we can't leave the office, so why not use the internet to unwind rite? Enjoy it, LIKE I DO! Years ago, the terms LV, Gucci, Chanel, Hermes, et al had never entered into my masculine dictionary. But the official induction to this foreign world came when I was about to get married. The exchange of gifts from the groom to the bride, typically, includes a handbag to complete a list of accessories. I never got involved in the discussion. What the heck did I know? Luckily, I had an aunt who was going on a vacation in France and she offered to scout there since handbags were cheaper there. All I heard was cheaper. I wasn’t going to argue. My aunt brought back a small black Balenciaga handbag for my fiancee. Balencia who??? It sounded like a Spanish folk song right off a Flamenco songbook. It also sounded a lot like Mesiniaga, but I was not judging. Three years into our marriage, I finally got the opportunity to witness the bizarre phenomenon that turns a perfectly sane intelligent woman into… a little girl. KL Pavillion had just opened and my wife wanted to have a ‘look’. Strange thing happened. From the moment she walked along the hallway of opulence, my wife was chirpy and jocular. Like a kid in a candy store, except that these weren’t candies, they were real expensive handbags! I could sense that she wanted one. It would have been my first gift to her since we got hitched. I told her to look around and not haste into making a purchase. After all, since I was going to ‘invest’ in this, I needed to make sure that she got something that she really liked. Also, there might not be another similar opportunity for her in the future. So, when she suggested she could settle with a handbag by Jaspal, I was livid!What the hell is Jaspal? I told her, Jaspal was an uncle in Telekom Malaysia that I used to deal with -Jaspal Singh! We’re not buying Jaspal! I could imagine the consternation on the faces of her friends (and mine too) when we tell them that it’s Jaspal’s bag. No, no, no. 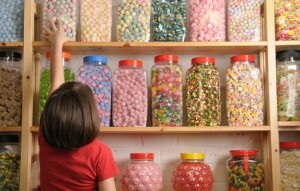 Then I asked her what other candy store we could go to. She uttered the two letters that would haunt me until today – LV. 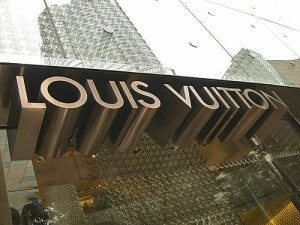 I’ve heard a lot of horror stories about LV. Unfazed, I marched in head held high with an air of misplaced arrogance. I let the wife roam while I sat down and observed. While I was busy being invisible, my wife covered the whole store, pointing, inspecting, and posing with the handbags as the sales hostess waited by her side with a wry smile and one eye on me. I’m watching you. Don’t touch anything you big oaf. But curiosity got the better of me. I was seated at the shoe section, so I grabbed one, flipped it over, and almost fell off the stool. RM1500++ for a Goddamn shoe!!! Get me outta here, NOW!!! Oh! What have I done? I should have said yes to Jaspal. I stayed composed and dignified – for the wife – when every inch of fiber in me wanted to bolt out the door. Undecided, my wife turned to me for opinion and advice. Clearly, the pressure of owning her very first designer handbag (the Balenciaga didn’t count) was too much for her to bear. “You don’t want my opinion.” I said curtly. “Yes I do. I can’t decide.” she replied assuredly. She showed me the Speedy 30 Damier. You can get that at the pasar malam, I thought. In fact, most of the bags in the store looked like those in the pasar malam. “It’s nice, but isn’t it too small?” I asked supportively. And the evening went on like that – her asking my opinion, and me not helping with my ambivalence. We went through the purple Brentwood monogram vernice leather, the Trevi PM Damier, and the white Alma monogram multicolore, going back and forth unsure of which deserved my hard earned money. 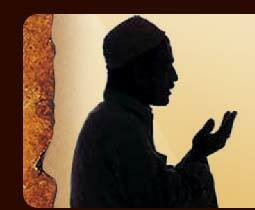 It took so long that we had to break for solat (prayers). I told my wife we neededdivine intervention to help us decide. We came back to the delight of the sales hostess. I advised my wife that she should get something practical that she can use often, not something that will be kept in shelves to collect dust. But ultimately, the decision was hers and whatever she chose, she would get my full financial backing. The Trevi PM Damier. Good choice. Expensive, but good nonetheless. I nodded. I swiped. And then everything went numb – including my bank account. But the look on her face, her happiness, her excitement, was priceless. This whole process is none too different from what men go through to get the girl of his dreams. 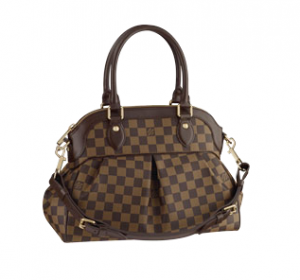 Just like a beautifully crafted handbag, a woman’s looks will be the very first thing that a man will notice. We’re visual creatures after all. Whether a man chooses an LV, Chanel, or Gucci is totally relative. Beauty, as they say, is in the eye of the beholder, but the common law of attraction is physiologically the same. Indeed, locating the store and picking out a handbag is easy, but stepping into the store requires confidence and panache. For those who lack the testicular fortitude, they will end up at Jaspal and always wonder what could have been. The LV might make a good first impression – financially sound, good fashion sense, and metrosexual – but at the expense of our true self. Deep down, we know that we’re a Bata man – simple, practical, and worth every penny. However, we might also come off as sloppy and a walking embarrassment. Thus, ruining whatever chance that we might have with the girl. Damned if we do, damned if we don’t – what’s a guy to do? Lets just say that we managed to hold it together, walk through the door, and pass the bouncers (how frightening). While friendly and helpful, the hostess steals a quick glance scanning us from top to bottom, assessing and judging if we deserve the handbag. Like it or not, we have got to go through them to find out more about the handbag. These experiences conjure a plethora of emotions – anxiety, apprehension, nausea, excitement, and others – that make our knees wobble, our hearts palpitate, and our bladders empty uncontrollably. It’s painful… and to just ask her out on a date?! Oh, the humanity! Once we go through all that… sigh… there’s always the potential that the shoe doesn’t fit – or in this case, the handbag doesn’t match. Everyone, both men or women, I’m sure, has a set of search criteria by which the ideal mate is based. Adverbs like beautiful, intelligent, etc – the list just goes on and on – are all pre-requisites for the ‘relationship’ to move to the next level. What a man really wants from a woman? Personally, I like my woman pious, having the fundamental understanding of Islam by which a solid foundation can be built upon. I like them obedient yet not subservient. I like them intelligent yet not condescending, passionate but not overzealous, caring and not overbearing. But most importantly, I like a woman who makes me feel good about myself, who accentuates my strength and hides my flaws, and someone who, regardless if I swing left or right, makes me a better man than I am without her. Alhamdulillah (Praise be to Allah), I have found my LV Trevi PM Damier. She’s all that I could ask for in a woman, a daughter, a wife, and a mother. But she’s more than just an accessory; she’s the last piece of the puzzle that completes the being that is ME. Everyone has a handbag waiting… somewhere. I guess you just have to find the right handbag for you. Just be patient. Sometimes the handbag finds you. 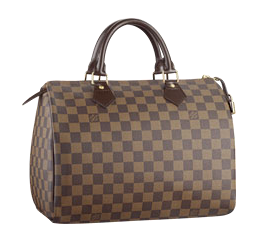 Oh… did I mention that the LV has gone up in value? So it should. It’s definitely akeeper. hoped all of you enjoyed it! Hey Ismalina, nice post though I'm not able to see the photos(i don't know why), but going through the post I was feeling good, and the feeling of watching whole story in front of my eyes was great experience. Agree with Brian Jones to be waiting for your other posts.